This will be the most amazing email list you've ever signed up for....hopefully. "SOMETIMES YOU WALK AWAY FROM SOMETHING, ONLY FOR IT TO CALL YOU BACK WHEN YOU LEAST EXPECT IT." ARTIST TO PRODUCER TO ARTIST AGAIN, DUSTIN BURNETT IS ZAYDE WOLF. WHAT Else have YOU HEARD ZW IN? In 2017, Zayde Wolf's song Hustler was used in the official red band trailer for the feature film GOLD, starring Academy Award winner Matthew McConaughey. HUSTLER is from the ZW debut album GOLDEN AGE. The summer of 2016 was an exciting time for ZW as his song NEW BLOOD was used in the main trailer for Jack Reacher 2 Never Go Back. Being a big fan of action movies and Tom Cruise we were pumped up about being a part of this trailer. Simotaniously NEW BLOOD was used in a promo for the History Channel and MMA 200. 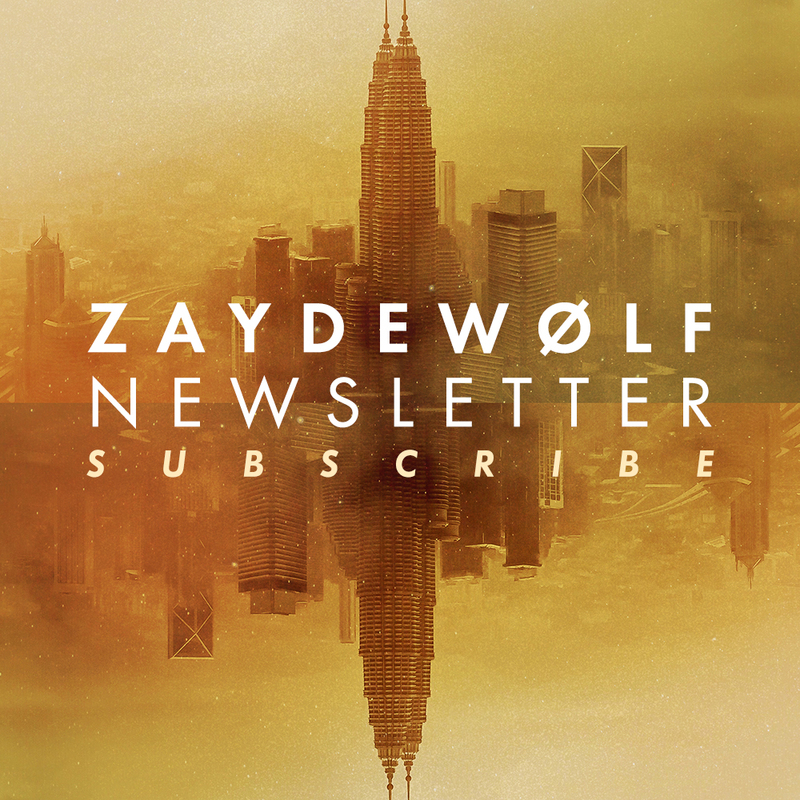 In 2016 Zayde Wolf songs have been used in multiple Netflix promos around the world. Netflix has used BUILT FOR THIS TIME, LIVE LIFE, and the HEROES collaboration with artist Generdyn. This version of HEROES was most recently used in the Netflix Fearless Doc Trailer. Xbox / Microsoft has partnered with Zayde Wolf multiple times including their 2016 E3 Keynote and games montage. The E3 presentation and promo included a new Zayde Wolf song called NO LIMITS. Zayde Wolf songs KING and RUNNING ALL NIGHT have also been used in Microsoft promos for the Direct X 12 and Summer Games Spotlight. Zayde Wolf songs have also been used in other game advertisements and promos. Ubisoft's Far Cry Primal licensed BUILT FOR THIS TIME for their TV campaign and Tom Clancy's The Division built one of their TV trailers around WILL I FALL. You really should sign up with your email address to receive news and updates.